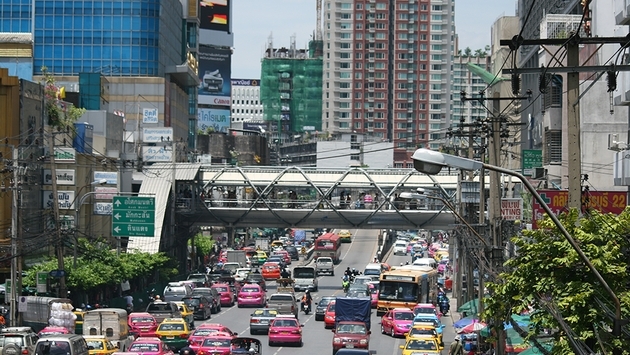 PHOTO: Bangkok is mostly calm but Monday will feature a major march and rally. After a truce in Bangkok surrounding the Dec. 5 birthday of Thailand’s King Bhumibol Adulyadej, Thailand’s two political factions are once again face to face. On Friday, the Yellow Shirt (anti-government) leader Suthep Thaugsuban set Dec. 9 as a day for all anti-government citizens to rally in what would be a massive protest in Bangkok. He called for all those who support the ant-government Yellow Shirts to turn out for a protest march through Bangkok to the Government House to make one final demand for the resignation of the government. The Thai government has issued warrants for the arrest of Suthep and other Yellow Shirt leaders on charges of sedition. Suthep, a former deputy prime minister, promises he won’t try to force his way into Government House. Thus far, the military, which has staged 18 coup de tats in Thailand, has restrained itself. The last coup was in 2006 and it brought down Thai Prime Minister Yingluck Shinawatra’s older brother Thaksin Shinawatra. The anti-government protesters are still located at several staging areas and the TAT is advising tourists to avoid those areas. Suthep, calling Dec. 9 D Day, hopes to merge all of the different rallies together for the march just before 10 a.m.